Peru has some of the best mountains on the planet and the natural beauty of the country is some of the best you will find on earth. The Andes mountain range has some of the most spectacular peaks that you will see. A feature of the Peruvian Highlands is the animals native to the area. 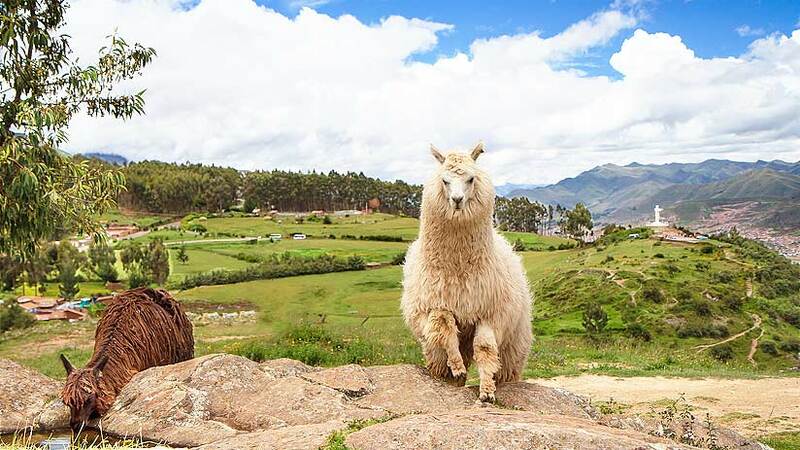 Peru is famous for its llamas and alpacas that you must see on any Peruvian vacation. The highland regions of Peru were home to the fabulous Inca Empire and this is reflected in the many ancient sites that feature through this area. Many thousands of tourists come to Peru every year to see the famous Machu Picchu. Machu Picchu is surrounded in mystery as scientists and archeologists still have are not sure at to the purpose of the sight. Equally as puzzling is why the site was abandoned after only one hundred years of habitation. Llamas and Alpacas can be found all over the Andes but while you are visiting Machu Picchu you will see the llamas that graze the large main plaza at Machu Picchu. 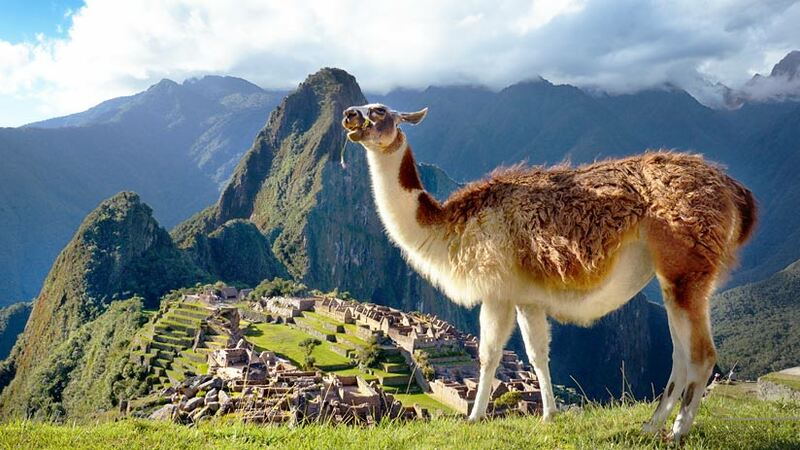 Peru is the home of the camel family that features Llamas, Alpacas and the less known Vicunas. Llamas where used in Peru traditionally as transport animals to carry supplies in the mountain regions, this still happens today and you may see examples of this while visiting. Traditionally Alpacas (really the more attractive of the two) were used for their wool and the delicious meat that features in many fine food menus around the country. There are many Peruvian companies that have taken advantage of the fineness of the alpaca wool and have set up clothing companies where you may buy garment made especially from the fine wool, a garment made from alpaca is something that will last forever. The last of the camel family is the Vicuna, you will be more likely to find the animal in the Arequipa district of Peru and they are found in numbers on your journey to one of the largest canyons in the world the Colca Canyon. As these animals are less in numbers than their cousins the Llama and the Alpaca, the Vicuna is mostly bred for their wool and most of the fiber is exported. The wool is used all over the world in the fashion industry and is some of the best quality you will find. The Cusco region of Peru is one of the most visited areas in Peru and was the heart of the Inca empire, it is said that in Inca times the city was full of temples and palaces covered in gold. You may be asking yourself why visit Cusco, the reasons are many, if you love your ancient history this is the place for you. Firstly, it was the home of the Inca then when the Spanish conquered the Inca empire in the fifteenth century the city was changed into a Spanish colonial city. Today you are able to enjoy the many churches constructed by the Spanish filled with ornate pulpits and Spanish religious paintings. Not only are the churches to enjoy, but there are old colonial houses that have been converted into lovely four and five star hotels. The hotels have been restored to their original condition but feature all modern facilities. Not far from Cusco city is the naturally wonderful Sacred Valley of the Incas. The valley was used by the Incas for agricultural purposes. The climate of the valley is milder and perfect for growing fruit and vegetables, which still happens today. 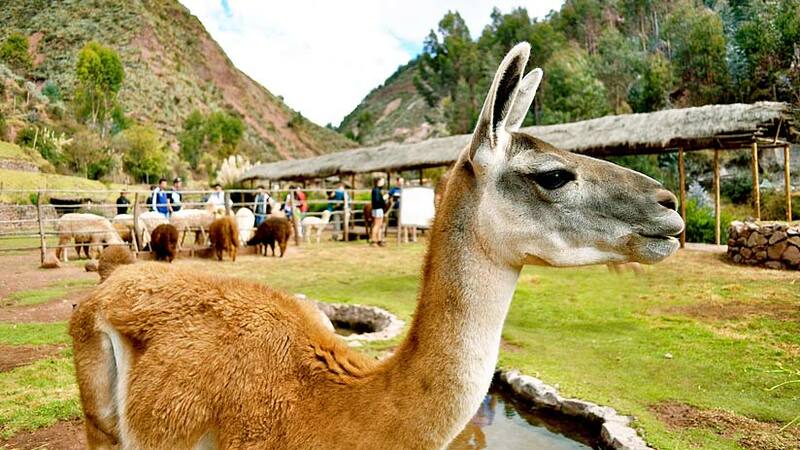 While in the Sacred Valley visit Awanacancha, a working llama and alpaca farm. Here you will see the wool being processed and woven into fabric and knitted into garments. 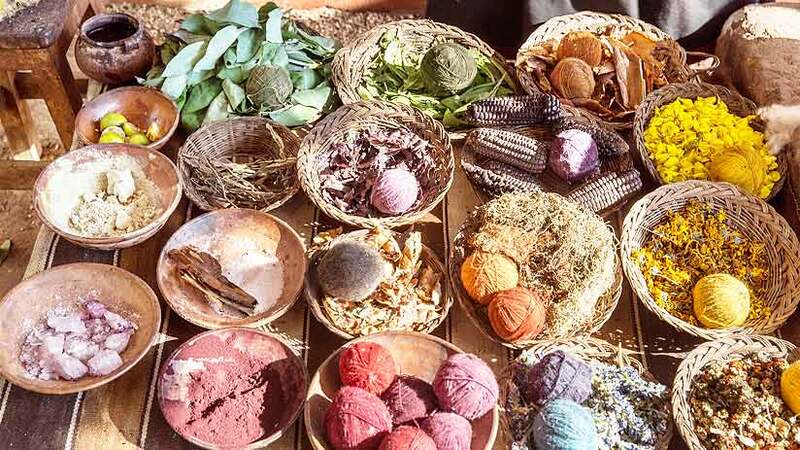 The proceeds of Awanacacncha go to the local communities. No visit to Peru would be complete without a visit to the Peruvian part of the Amazon. There are many great companies that organize Amazon tours from Cusco and you should set aside around three of four days of your vacation for the jungle. If you dream of seeing these animals in their native setting then you will have to visit the highland regions of Cusco, Puno and Arequipa. 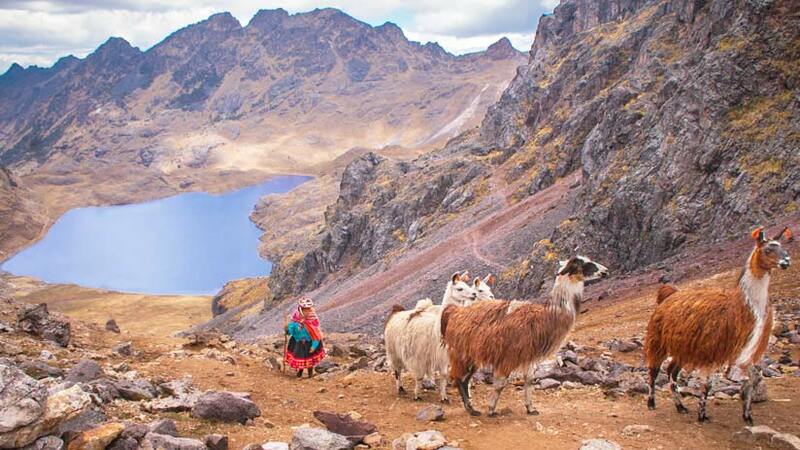 If you want to see large herds take the Lares or Ausangate treks in the Cusco regions. For those of you who like to take photos, then especially in Cusco there are local woven in traditional costumes with llama or alpacas that will let you take pictures for a small fee. Spend your next vacation visiting Peru and all the country has to offer. The wonderful native animals of Peru are a highlight of any visit. Not only are the animals great to see but the people of Peru are warm and friendly and waiting to welcome you with a warm smile and open arms. 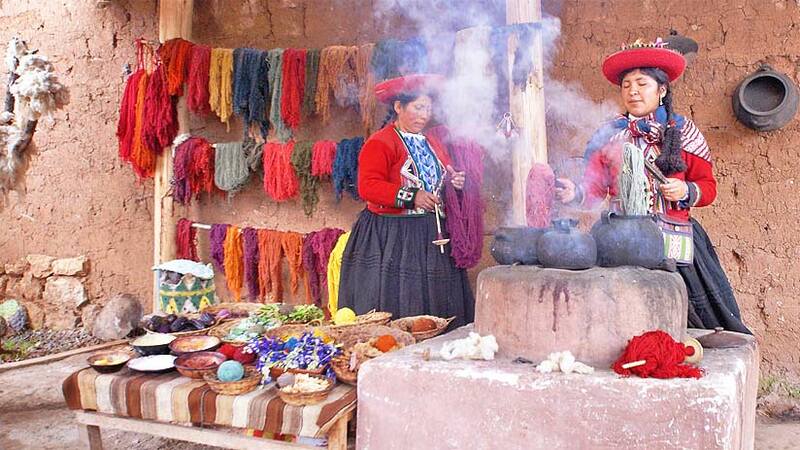 Peru Activities, Travel To Peru cusco, sacred valley, traditions. permalink.